Made from the pure juice of organic apples naturally fermented in wooden casks until honey-hued and full-flavored. 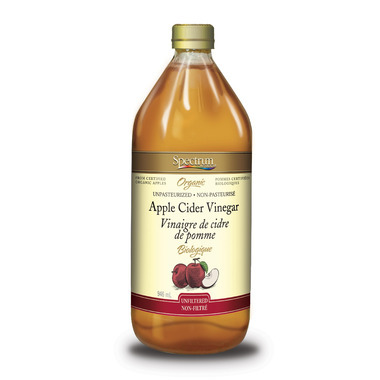 Ingredients: Certified organic raw unpasteurized apple cider vinegar. Contains naturally occurring "Mother" of vinegar. 5% acidity. This is my favorite Apple Cider Vinegar. Great quality product! Awesome raw apple cider vinegar.